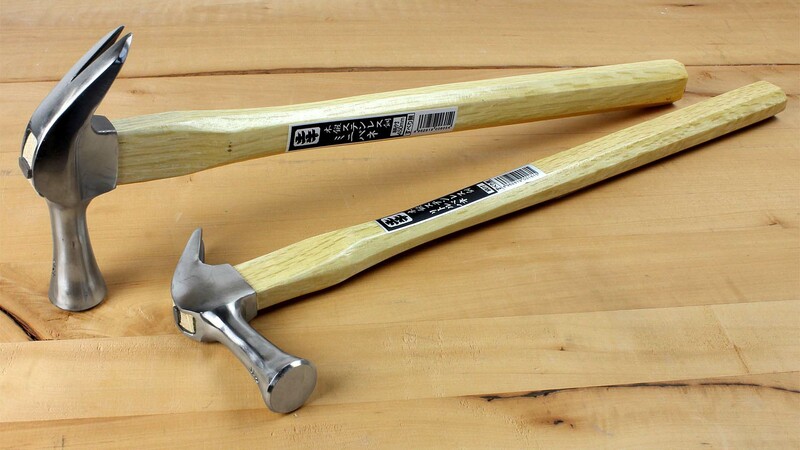 Japanese claw hammers These traditional claw hammers let you work effectively and with precision. 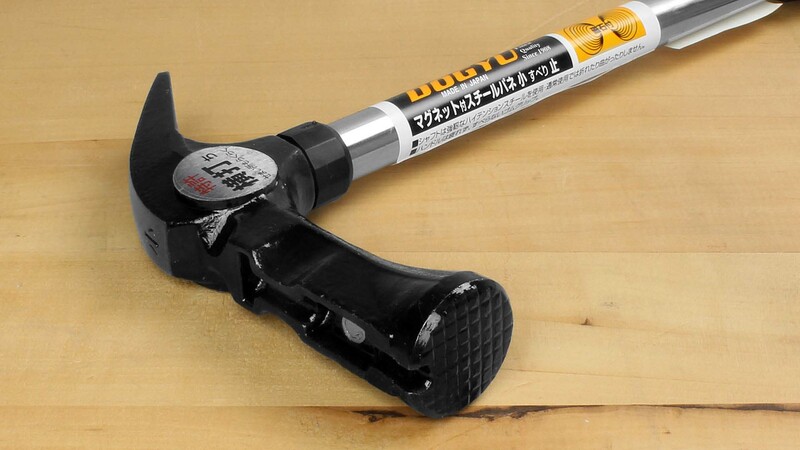 The diameter of the hammer face is the same size as the cheeks of the hammer head so that you can work accurately adjacent to vertical surfaces. The claw on the opposite side is precision-forged for effortless removal of nails. 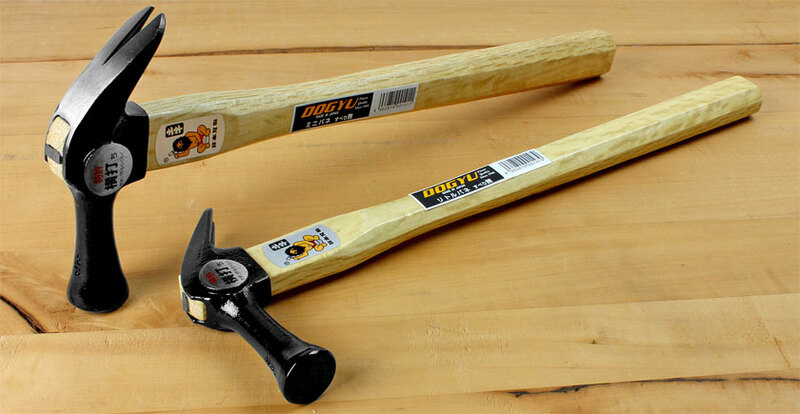 The length of the handle ensures that even hammers with smaller heads have a hefty strike force. The striking face is smooth. The handle is made of Japanese white oak. Japanese claw hammer with stainless steel head The same basic design as above, but with a stainless steel head and an extra long handle for an even higher strike force. Even if your work takes you outside where your tools are exposed to the elements, this hammer head will still look good after years of use. 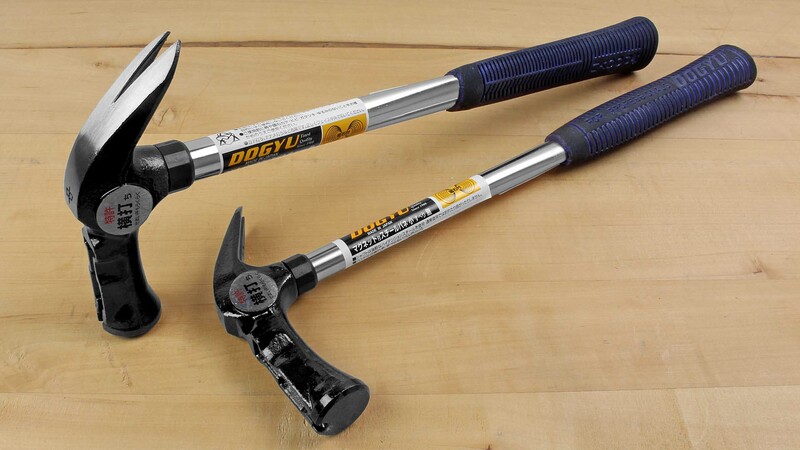 Japanese claw hammer with smooth face This claw hammer from the Japanese manufacturer DOGYU has a hardened hollow steel handle with a very comfortable, ribbed grip made of soft plastic. A magnetic nail holder simplifies knocking in nails. Nails should be at least 35 mm long. 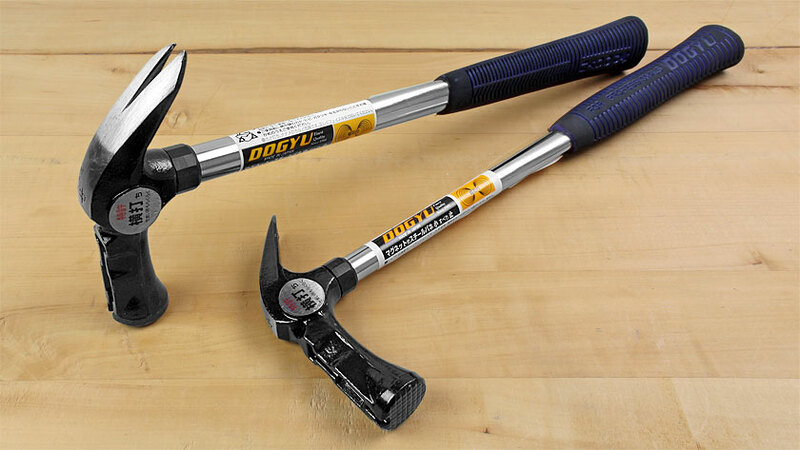 Especially the larger model can be used with enough force for any nailing job in carpentry. The hammer head can be placed flush against vertical surfaces which can be of great advantage under restricted working conditions. The sharply contoured claw deals effortlessly with any nails you want to pull out. The smooth face on a hammer is to be preferred for any jobs where the surface of the workpiece must not be damaged. Japanese claw hammer with checked face Design as above, but with a checked face! 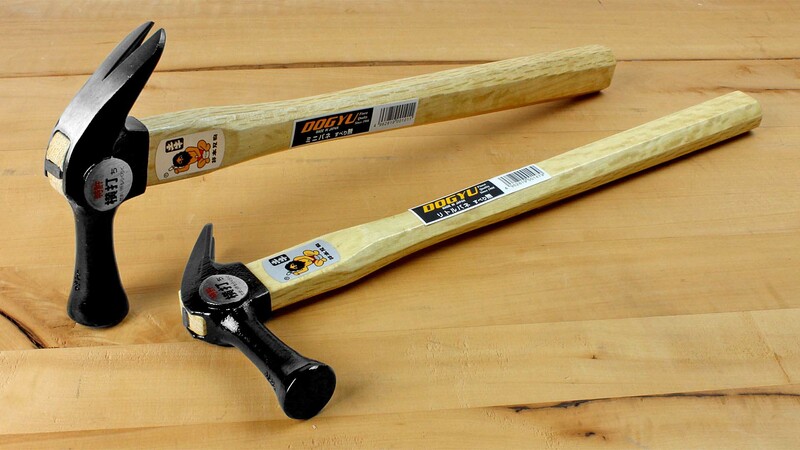 A hammer with a checked face is to be preferred if it is important that the hammer head does not slip off the nail. If you miss a nail, of course, you will end up with unsightly marks in the wood.